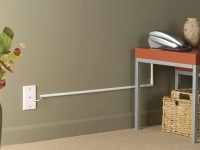 Easy To Install, No Nails, Screws, Clips or Fasteners Required. 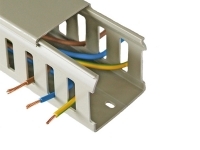 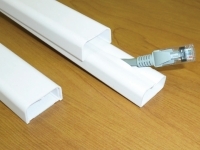 Ideal For Concealing Cables & Wires, On Long Runs. 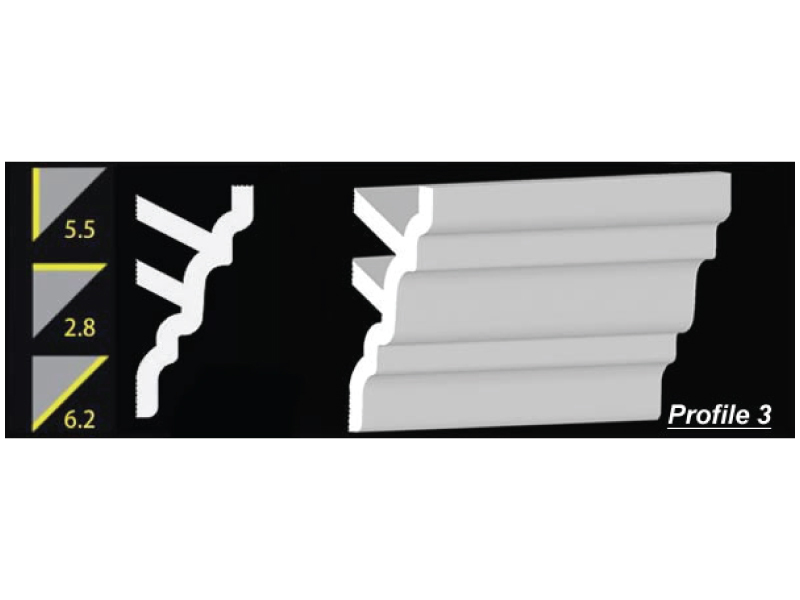 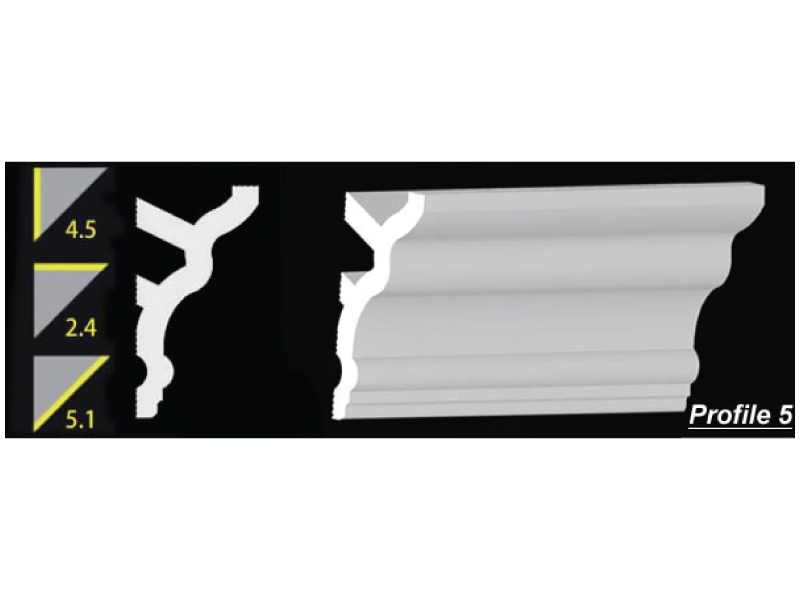 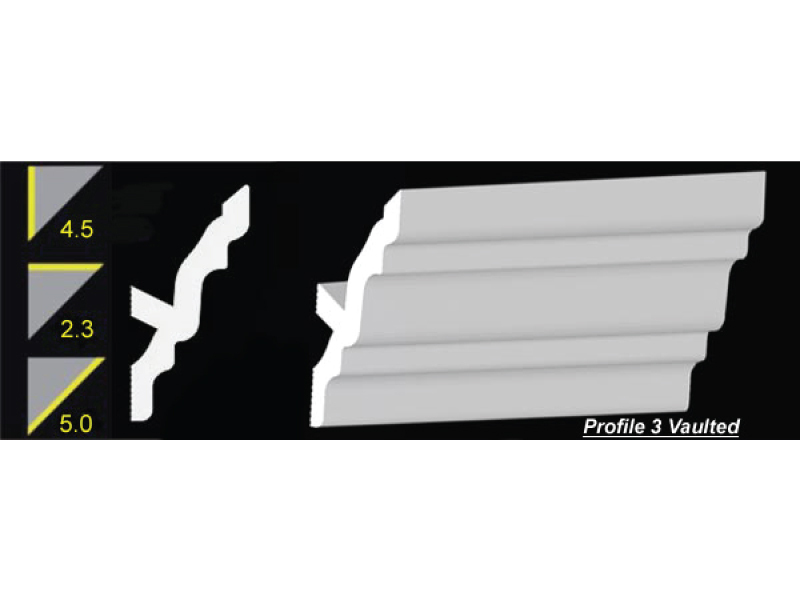 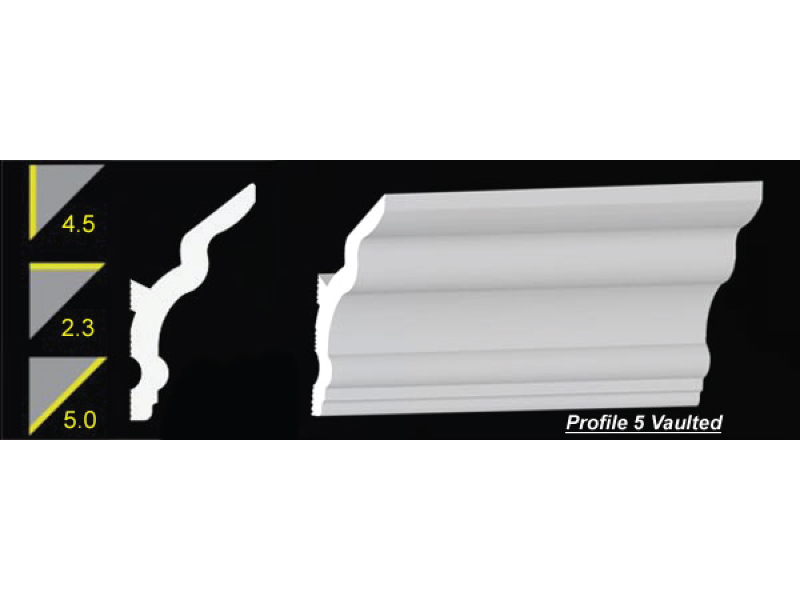 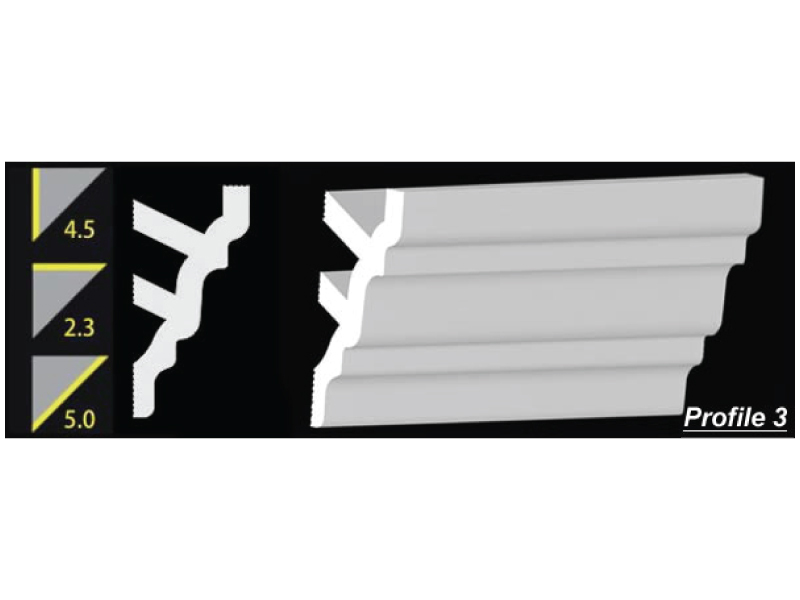 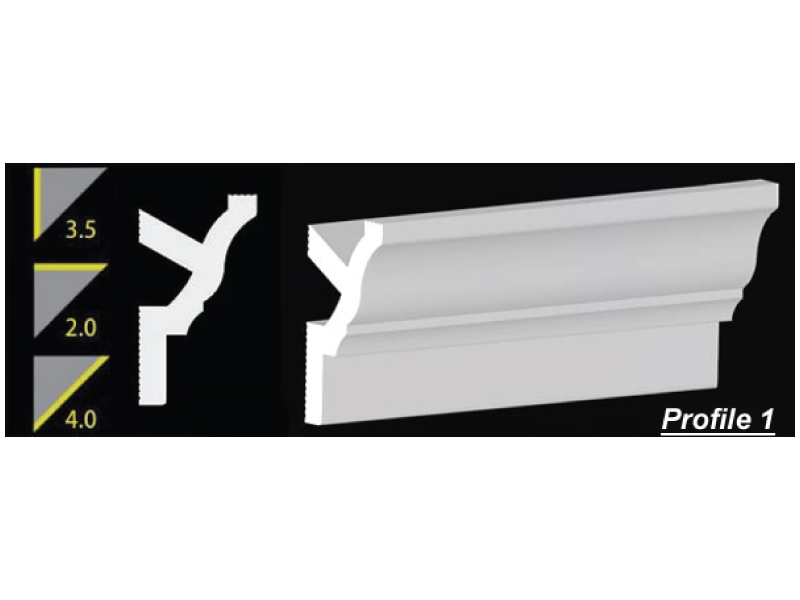 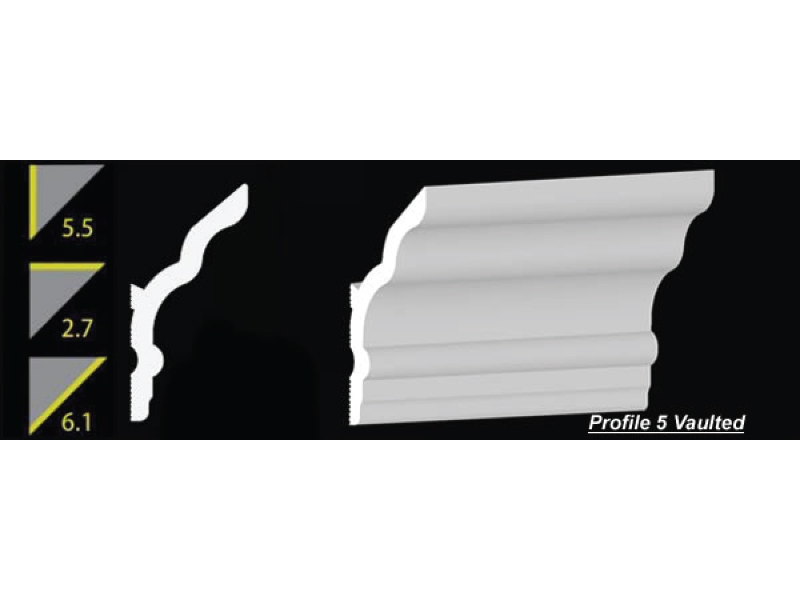 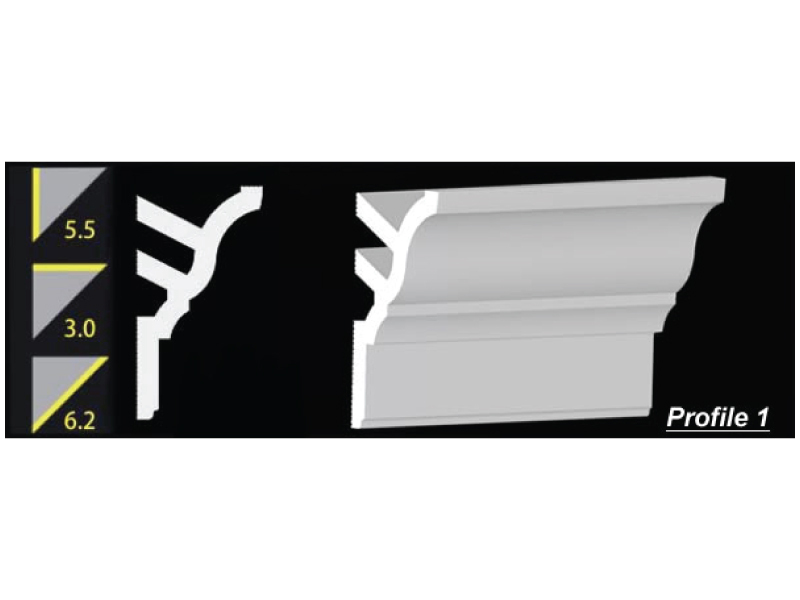 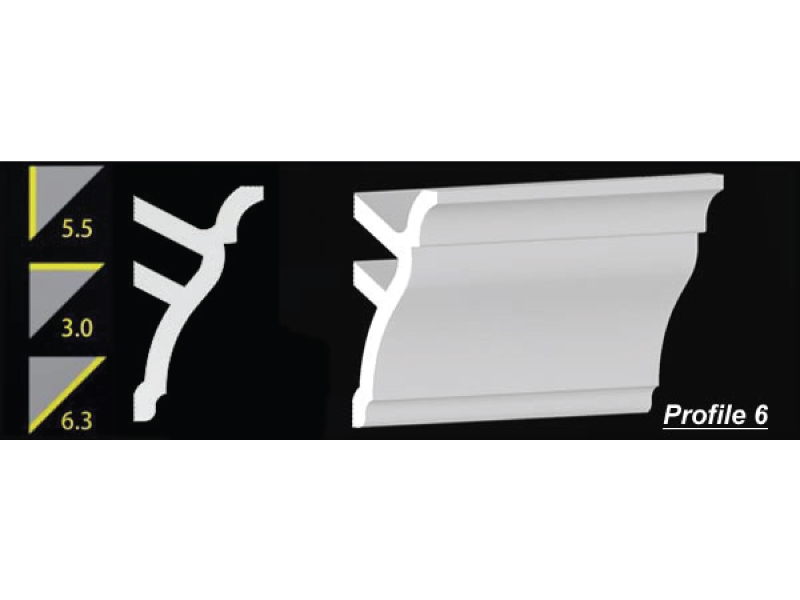 Foam crown moldings are smooth, high density, flat back foam crown moldings and we are the first and only crown moulding with this design. 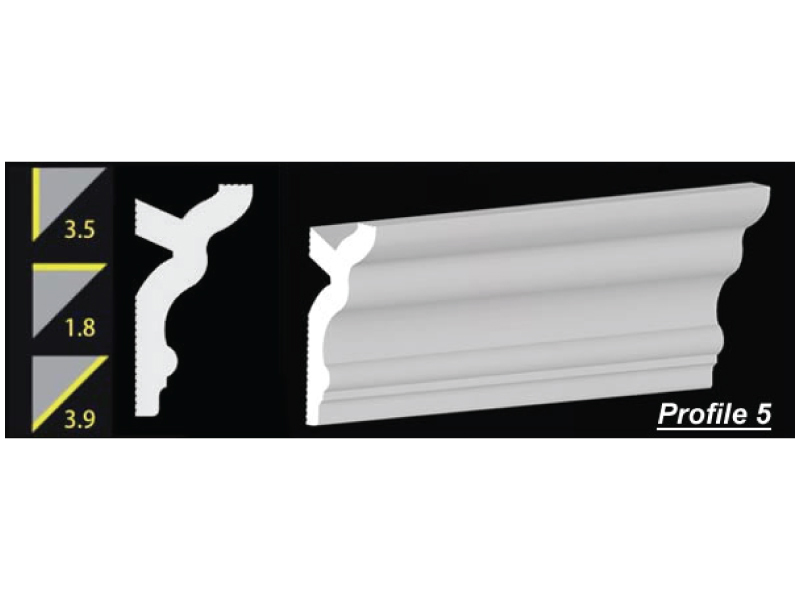 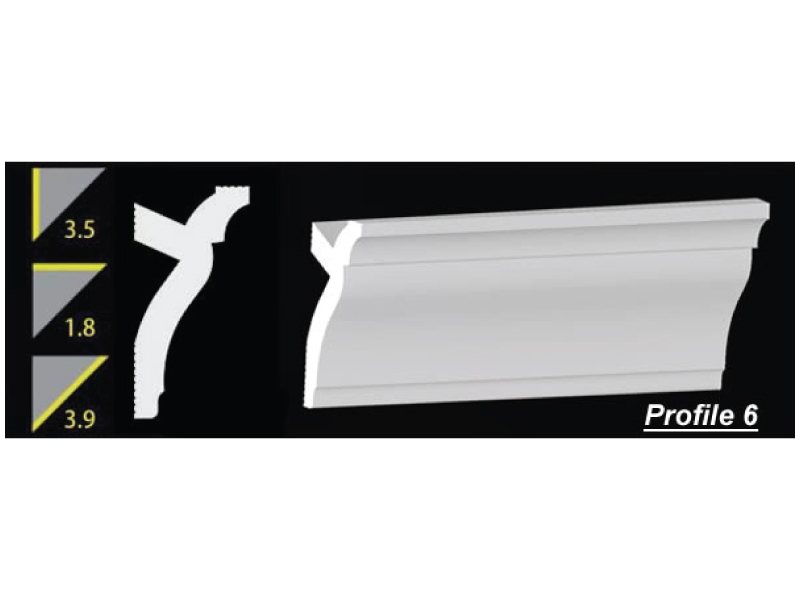 Foam crown molding cost less than wood crown moldings and polyurethane, urethane moldings. It is the most inexpensive decorative crown molding that you will find today. 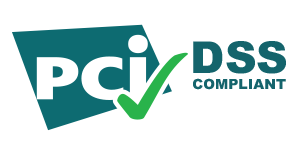 Customers achieve the professional look without the cost, mess and headaches of wood or plastic crown molding installations. 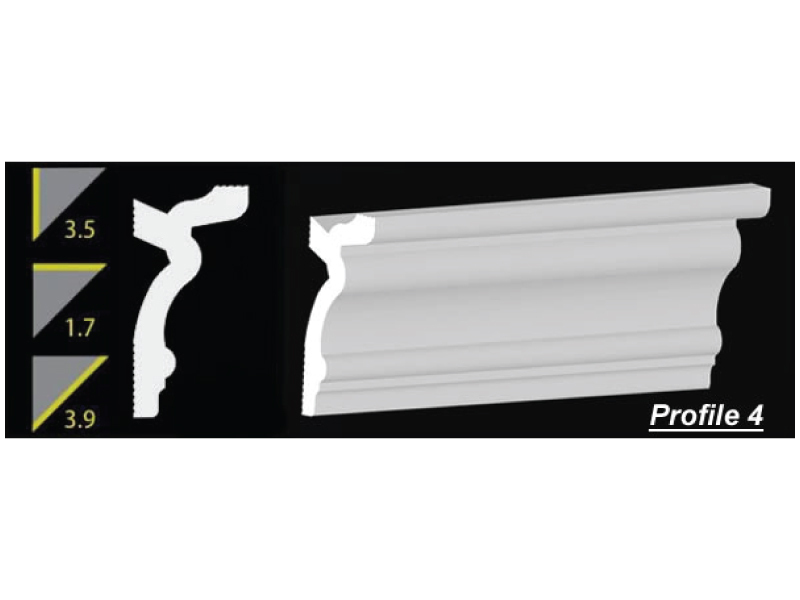 The surface of the molding features Skin Tec technology (a perfectly smooth surface) that makes painting a breeze. 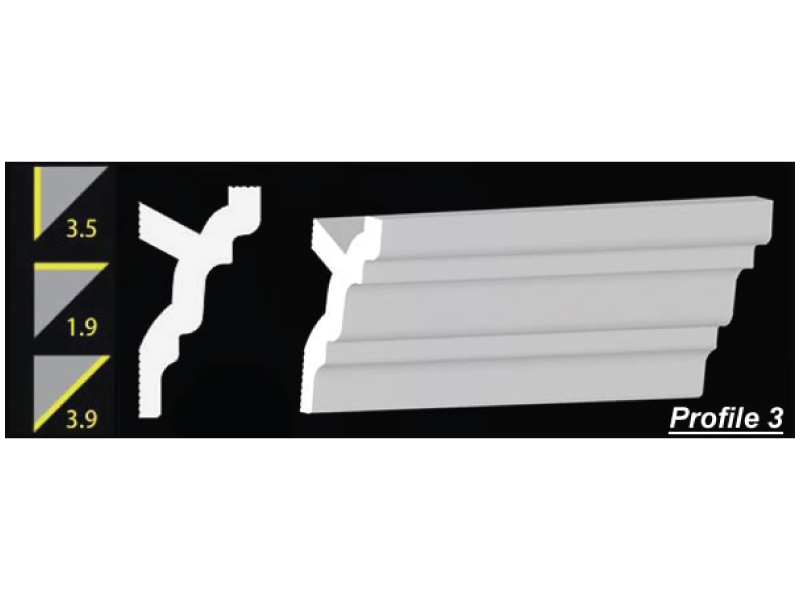 No primer is needed. 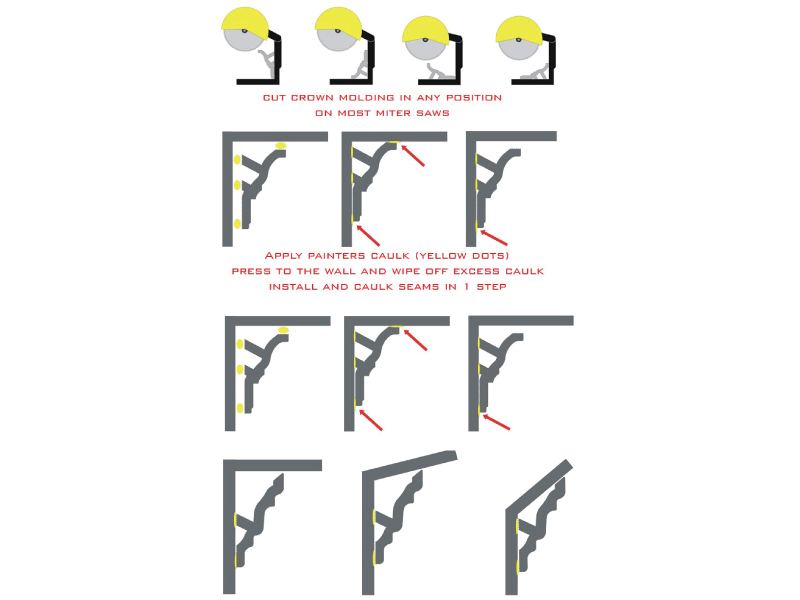 Installs with painters caulk and cuts in most positions in most miter saws! 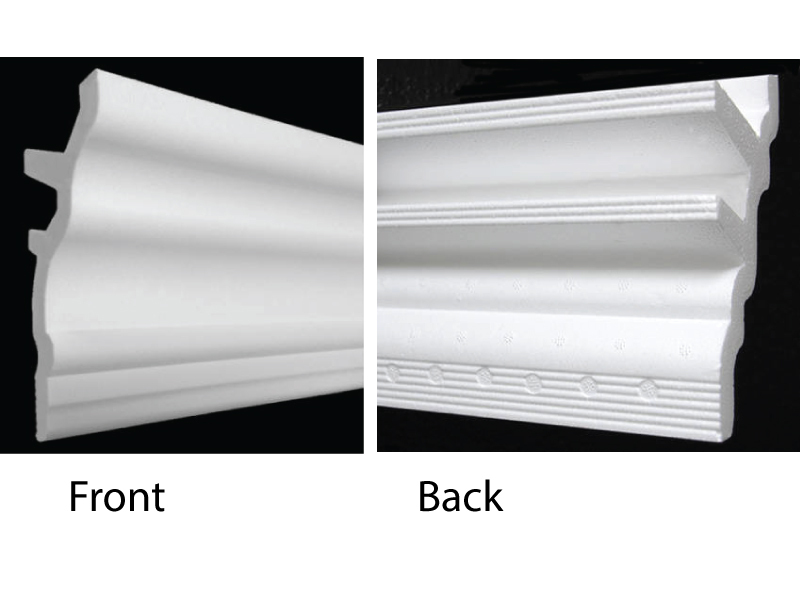 the top where the molding fits to the ceiling and a bead on the back bottom edge where it fits to the wall. Next, just press the molding firmly into the wall and ceiling. 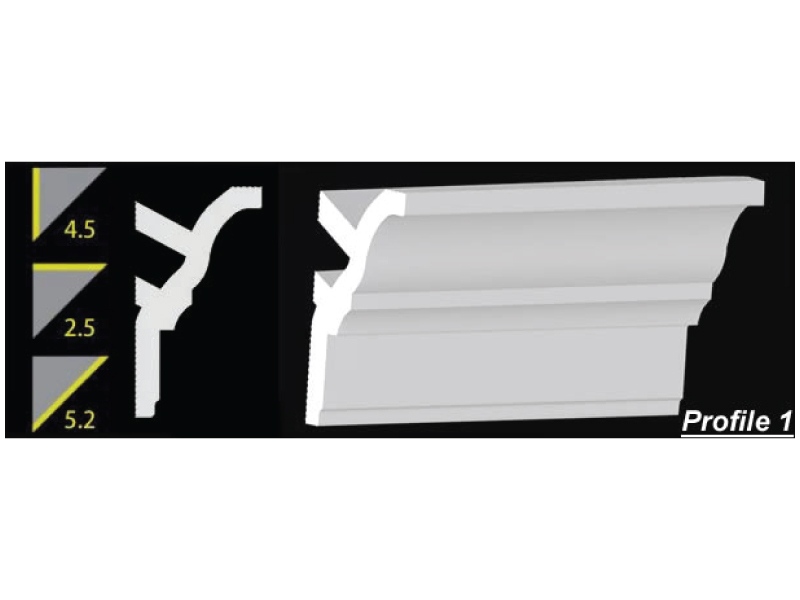 Then wipe off any extra caulk and you have installed and caulked your seams in one step. 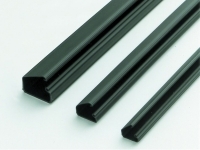 No nailing!